Apart from playing an Aria Flying V (for about 15 mins) in the mid 1980s, it’s pretty hard to associate Malmsteen with any other electric guitar than either his original 1970’s large headstock CBS-era Strat with scalloped fretboard, or the newer signature-series model. 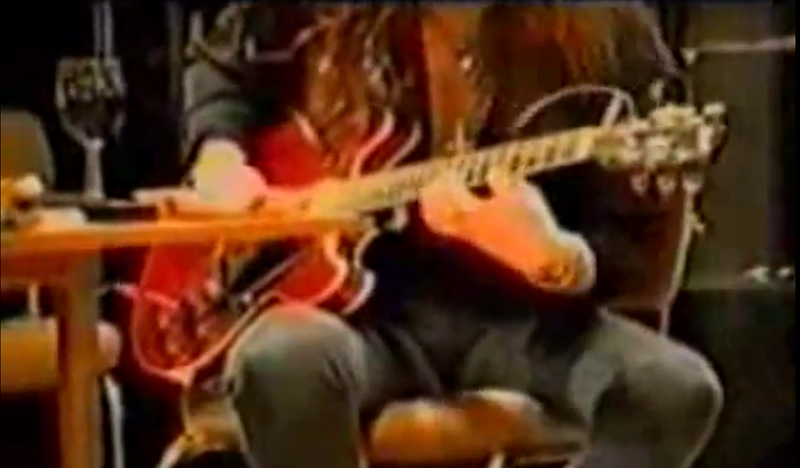 However, in this amateur shot footage below, it seems that when the Swedish virtuoso is at home he enjoys trying out some other brands, including a very sweet looking Gibson ES-335. The short clip below is thought to be from an early 90s documentary, focusing on the behind the scenes life of Yngwie Malmsteen. The project was never completed and today only a few extracts from it remain, one of which can be seen in this video clip.